Study the Bible, Christian theology, church history, and the practice of ministry in an interdisciplinary and ecumenical setting with a distinctive Anabaptist-Mennonite perspective. Explore current scholarship and examine contemporary issues. Interact with faculty and students from diverse academic disciplines in a small classroom setting. Test ideas. Develop skill and self-understanding in internships. Experience the support and expertise of faculty and fellow students. What is the Master of Theological Studies? The Master of Theological Studies (MTS) is a two-year degree offered conjointly by the University of Waterloo and Conrad Grebel University College. It is open to persons from a range of academic backgrounds and is designed for those who may be exploring vocations of ministry and service, those preparing for pastoral ministry, chaplaincy, or further graduate studies, and those seeking personal enrichment. Why MTS at Conrad Grebel? The supportive and stimulating environment provides frequent interaction with faculty, extensive library resources, study and social spaces, and opportunities for participation in a wide range of activities. Theological Studies students are able to enrich their experience by taking courses in other programs at UWaterloo and at nearby universities and theological schools. MTS students may choose from three program options: coursework, applied studies, or thesis. These options enable students to tailor their degree to their specific interests and vocations. Plus, all full-time Canadian/permanent resident MTS students are eligible for full-time tuition scholarships. Recent MTS graduate, Danielle Raimbault, is associate pastor at Listowel Mennonite Church in Ontario, as well as chaplain at a long-term care residence. Raimbault found her education to be instrumental in preparing for ministry in the church. “The Applied stream courses offered practical advice for the everyday of pastoral ministry,” noted Raimbault. “The Bible courses taught me in-depth ways to research and prepare for sermons. I learned how to read the Bible in ways that are more helpful and I gained a deeper understanding of the Bible and what it means to me. 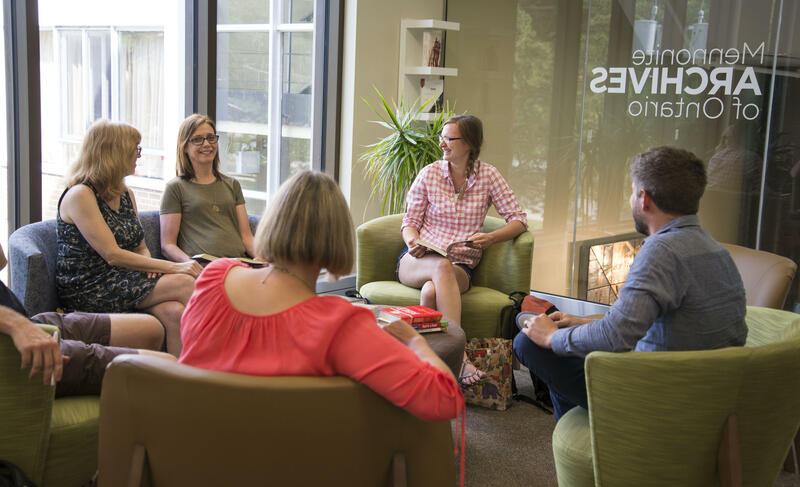 WATERLOO, Ontario (Conrad Grebel University College and Anabaptist Mennonite Biblical Seminary) — In North American Mennonite theological education, a regional focus is emerging as students prefer to access seminary education closer to home. Uprooting families and finding employment for a spouse in another country have become increasingly difficult. 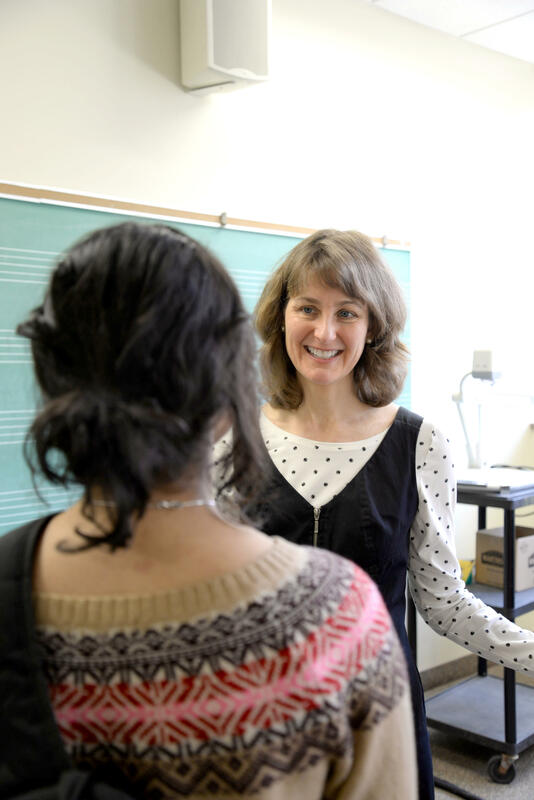 Professor Alicia Batten teaches New Testament in Grebel’s Theological Studies program. She is writing a commentary on the Letter of James for the Illuminations Commentary Series—a close look at the letter as a whole, combined with attention to the reception of the letter and its impact over the centuries.